Piezo-electric sensors and actuators are starting to play an important role in high-tech equipment, systems and technologies. Piezo-electric materials are able to convert an electrical signal into a physical movement: they change shape when they are subjected to an electrical voltage. Conversely they convert a movement into an electrical signal by producing a voltage when under pressure. Due to these unique characteristics piezo technology is used in a wide range of applications, for example to position instruments with nanometre precision, including the lithography machines that produce integrated circuits. In addition, piezo-electric materials are used to open fuel valves in diesel engines, to filter signals in mobile phones and even to record images of unborn babies. Since the 1990s scientists have been studying thin films of piezo-electric materials and they have developed improved methods for producing these films. At the same time a number of companies have come with innovative ideas to produce new types of sensors, actuators and other products based on micro-electromechanical systems, the so-called MEMS technology. In these miniscule systems the companies combine electronic, mechanical and chemical components. MEMS technology is already used, for example, in inkjet printer heads, micro-pumps and biosensors. 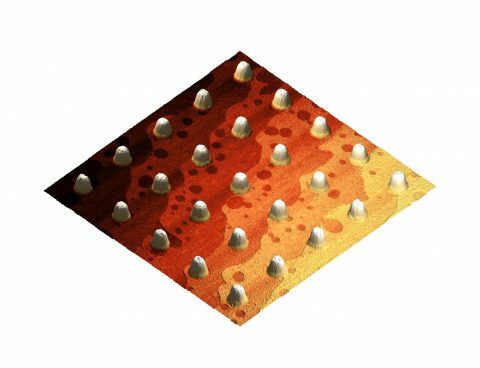 Within the MESA+ Institute for Nanotechnology at the University of Twente, researchers are trying to combine MEMS and piezo technology by using the piezoelectric thin films in silicon systems. 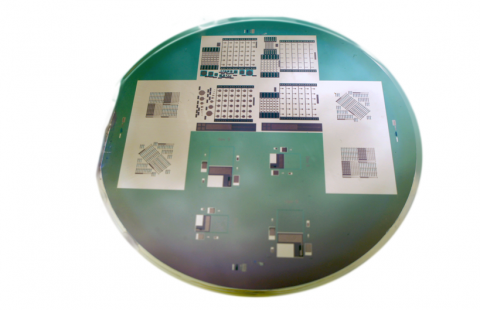 Together with the spin-off company Solmates BV they have developed a method based on pulsed laser deposition, with which they can produce piezo-MEMS structures on an industrial scale. Within the programme 'Size dependent material properties' the researchers have realised new piezo-MEMS structures. These structures make use of so-called PZT films, which consist of a single crystal layer based on lead (Pb), zirconium (Zr), titanium (Ti) and oxygen (O). These films have shown unparalleled characteristics such as strongly improved piezoelectric characteristics that do not diminish even after a very long period of use. Researchers have developed a simple and effective method to structure PZT films with a process in which the structures are applied with micrometre precision at a high temperature. This makes it possible not only to realise piezo-nano-electromechanical systems (NEMS) but to describe the characteristics of the films as well. Photo of piezo-MEMS structures, manufactured with pulsed laser deposition. Researchers place PZT islands with nanoscale precision using the lift-off process.